Even with the best oral hygiene, there’s not a lot you can do to ensure your teeth grow in perfectly. If you have misaligned teeth or an asymmetrical smile, we have an orthodontic solution for you. At the office of Dr. Wise, we recommend Invisalign for all our patients, young and old. The clear aligner can correct crooked teeth, occlusion, and bite alignment without drawing unwanted attention. Best of all, the prosthetic is completely removable, so it wont disrupt your daily routine. Treats multiple issues - Invisalign helps with crooked teeth, overbites, underbites, and gaps between teeth. Nearly invisible - Invisalign uses thin, durable plastic that is fully transparent and virtually unnoticeable. You can undergo the treatment without anyone having to know. Nondisruptive - You won’t have to change any of your eating or cleaning habits with the aligners. Just take them out when you need to and reinsert when you’re done. Comfortable and unobtrusive - Because the aligners are molded to your teeth, they fit snugly. There are no sharp edges or uncomfortable wires. You may even forget you’re wearing them! If you’re interested in Invisalign, book a consultation with our office immediately. Together, we'll decide if Invisalign is best for you, and then begin the treatment process right away. To start off, we'll take scans of your mouth and promptly ship them to the Invisalign lab. There they will create your custom aligners and send you the first couple sets. Upon starting the treatment, it’s important to remain disciplined. You’ll need to wear the aligners close to 22 hours per day, only removing them for cleaning or eating. Every two weeks you can swap out your current set for the next pair, which will continue to gentle straighten your teeth. A check-up should be scheduled with our office every six weeks, to ensure that you’re remaining on track with the treatment. If all goes well, you should only need around 20-30 sets of aligners over the full extent of your treatment. For most patients, their smile will be picture perfect in a little over a year! Invisalign is an orthodontic solution that uses transparent plastic aligners to straighten teeth over time. The prosthetics are almost completely non-invasive and are customized to fit your teeth, so they do not stand out while being worn. 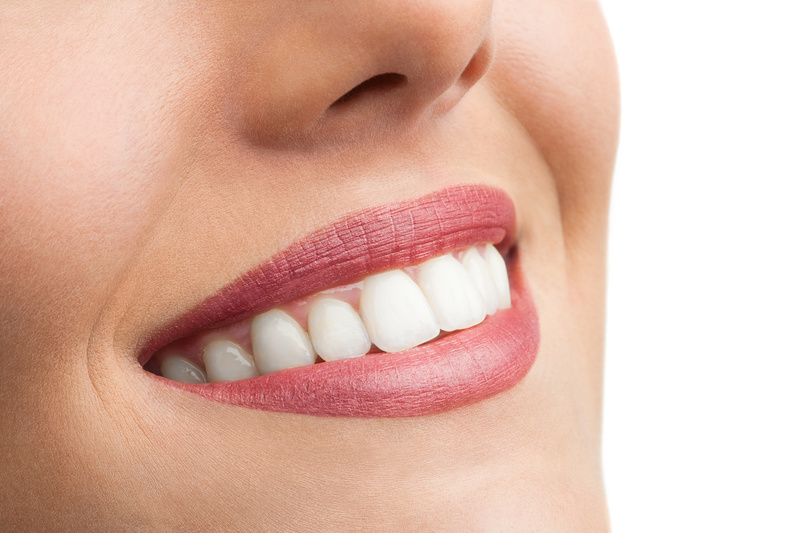 Over time, the aligners will gently shift your teeth towards their correct placement. The treatment lasts a little over a year and is completely discreet. No one has to know you’re going through the process. 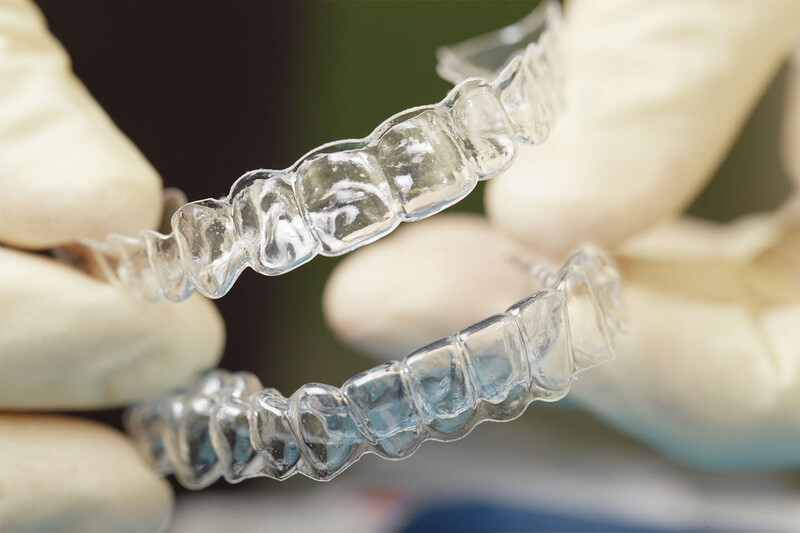 Proper aligner care is key if you want to get the best results from your Invisalign treatment. 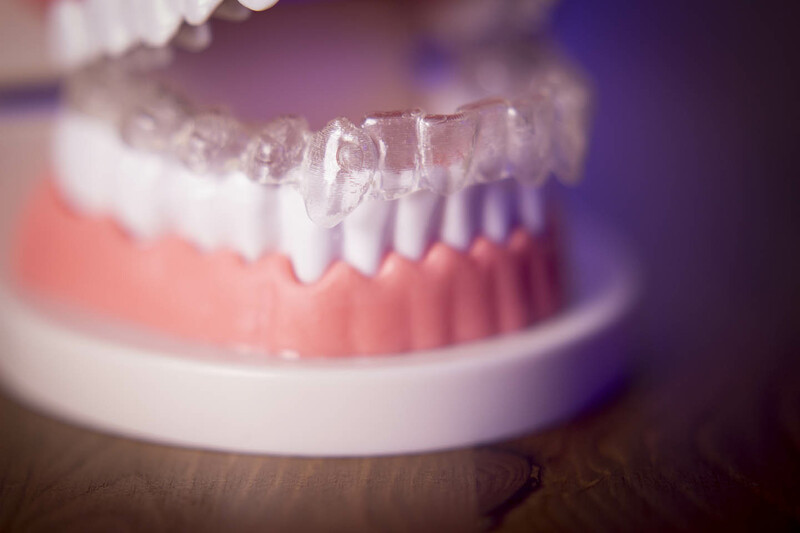 Here are a few tips and precautions to help you understand how to care for your aligners. Don’t eat or drink anything but water while wearing your aligners – Eating while wearing Invisalign can damage and warp your aligners, which can lead to sub-par treatment results. Never eat while wearing Invisalign. Clean your aligners every night – After brushing your teeth, clean your aligners using a mild soap that rinses away cleanly. Use warm water, and brush them out with a soft-bristled toothbrush. Don’t use toothpaste, because it is abrasive and could damage the aligners. Don’t wear aligners while playing sports – If you fall down or get hit when playing a sport, your aligner could be damaged. Wear a special mouthguard for contact sports, rather than your aligners. Keep your case handy at all times – When you take your aligners out (this should only be very temporary to either eat or brush your teeth), put them in the special case that Dr. Wise provides for you in order to protect them from damage. There are quite a few differences between Invisalign and traditional braces. First, Invisalign is transparent and completely removable, making it a more subtle treatment that eliminates any food restrictions. Invisalign does not require regular “adjustments”, so you’ll spend less time in the dentist’s chair throughout your treatment. You’ll only need to come in for a quick checkup about every 4-6 weeks, and you’ll get your next several sets of aligners after your appointment. Invisalign also does not irritate the oral tissue and it is removable, making it much easier to brush and floss. That being said, not every patient is a good candidate for Invisalign treatment. 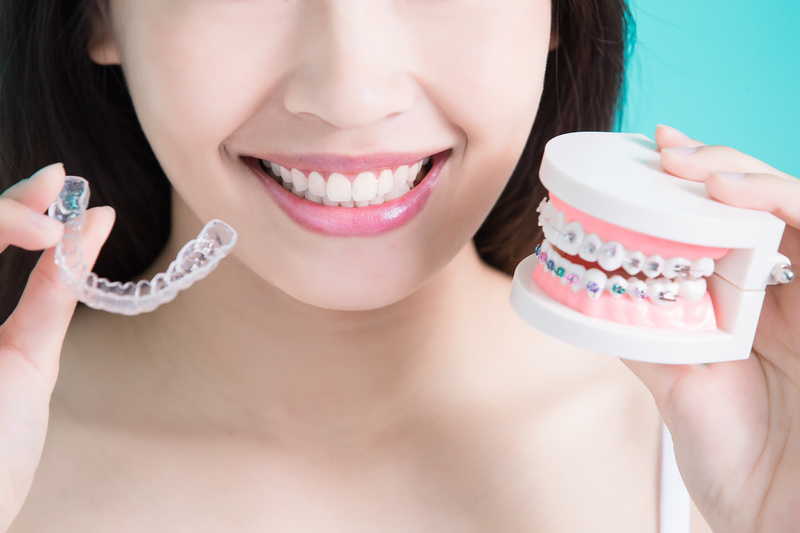 Traditional braces may be a better choice for patients who need more extensive orthodontic correction for things like an open bite, underbite, overbite, or severely crooked and gapped teeth. The best candidates for Invisalign have healthy mouths and only need minor-to-moderate orthodontic correction, such as the straightening of crooked and gapped teeth. Invisalign is perfect for these patients since it’s faster and more effective than traditional braces when it comes to minor orthodontic issues. However, if you have more serious orthodontic problems, you may not be a good candidate for this treatment. To find out if Invisalign is right for you, we recommend scheduling an appointment with Dr. Wise. Contact Wesley C. Wise, DDS & Associates For An Appointment Now! If you’re interested in Invisalign in Oak Park and you want to know whether this revolutionary treatment would work for you, schedule a consultation with Dr. Wise today! At your appointment, he will examine your mouth and help you choose the orthodontic treatment that’s right for you. Contact us at (708) 524-0330, or drop by our office at 137 N Oak Park Ave, Oak Park, IL 60301. We’re always taking new patients, and we can’t wait to work with you on your journey to a straight, beautiful smile!